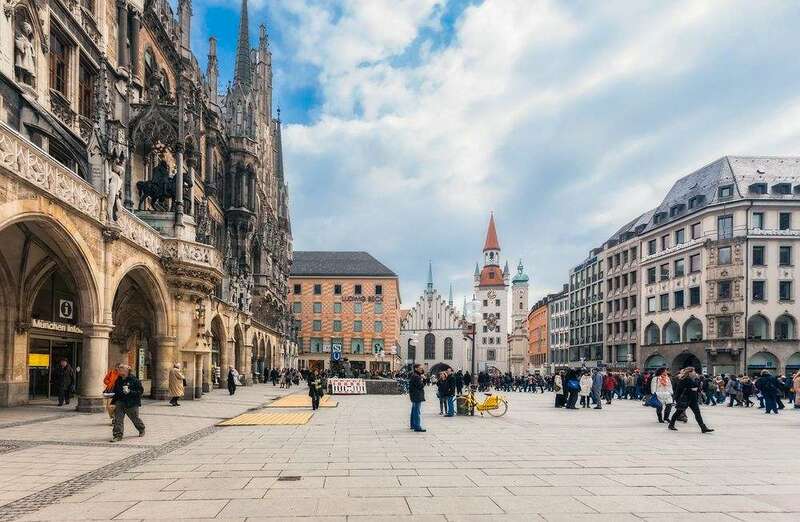 Upper Bavaria is considered to be the real Bavaria, the borders of which have changed several times over the centuries and have not taken tribal or language borders into account. 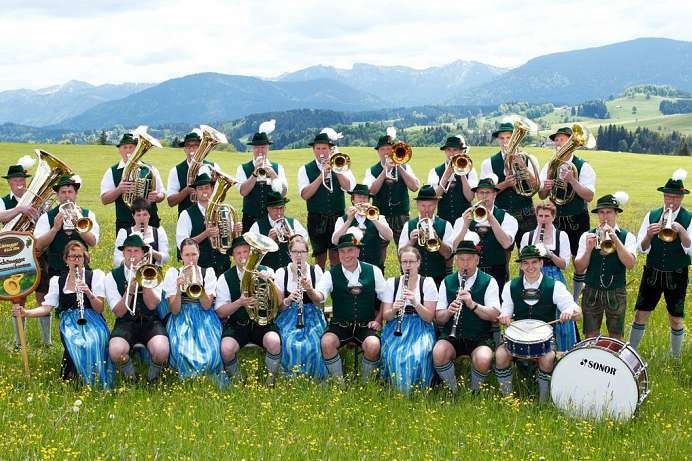 In particular, there is no specific Upper Bavarian dialect. 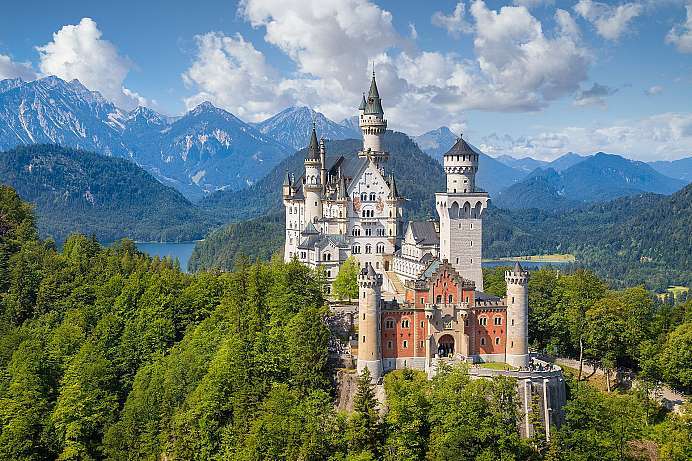 The term “Oberbayern” first appeared in 1255 and today Upper Bavaria is only one of several administrative districts in Bavaria, bordering the Upper Palatinate to the east, Franconia to the north and Swabia to the west. 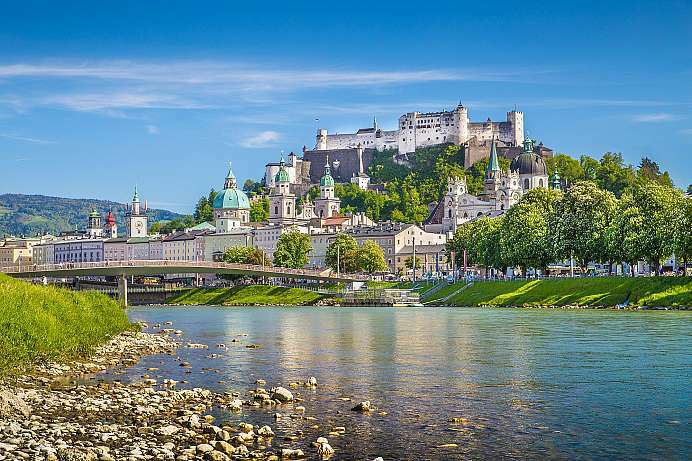 Because of its natural beauty and cultural attractions, the region between the Danube and the Alps attracts many visitors from Germany and abroad. The third-largest lake in Germany is often referred to – somewhat tongue-in-cheek – as the “Bavarian Sea”. The main attractions are the his and hers islands, called the Fraueninsel (Women's Island) and the Herreninsel (Men's Island). The former is home to a Benedictine convent, while the latter features a palace built by Ludwig II of Neuschwanstein fame intended to be a replica of the Palace of Versailles. 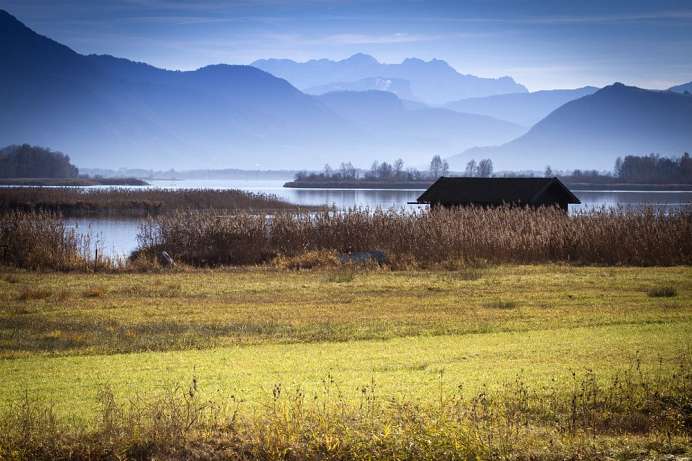 The shores of Chiemsee are dotted with medieval villages, of which Seeon is the most charming. The concentration camp north-west of Munich was in continuous operation for twelve years, more than twice as long as most subsequent concentration camps. First, political opponents were detained. It was built next to an ammunition factory and in its early years served, when the NSDAP wanted to consolidate their power, as a deterrence for as well as for the imprisonment of political dissents. The organization and spatial structure were later a template for new concentration camps. The Nazi regime promoted it as a “model camp”. Dachau was a training institution for SS guards and SS headquarters staff who were employed after the beginning of World War II, amongst others those, who served in extermination camps. Although Dachau was not an extermination camp, in no other concentration camp were so many political murders committed as here. Of the total of 200,000 Dachau prisoners about 41,500 died. In addition, the SS often deported prisoners to extermination camps. 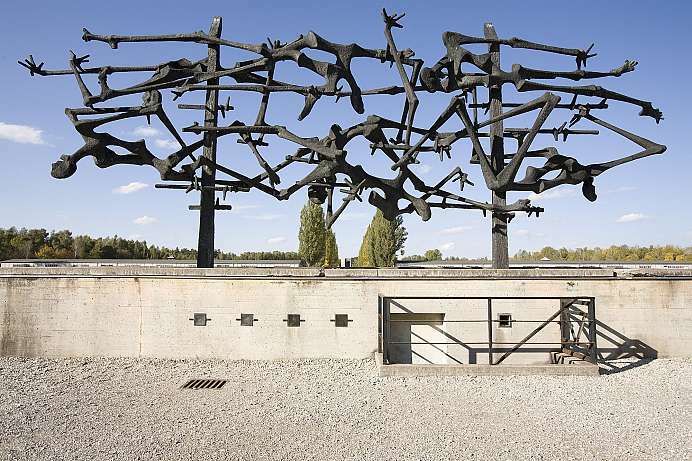 Today the memorial of the Dachau Concentration Camp is located on the grounds, which is visited by about 800,000 people a year. The city on the Altmühl River is dominated by the imposing Willibalds Castle, where there was already a stronghold even in Celtic times. Formative over centuries was Catholicism. In 741 the Holy Willibald founded the place as a missionary monastery. The houses crowd around the Romanesque cathedral, St. Salvatius, which watches over the triangular marketplace. But the most interesting part of the old town is the bishop's residence from the Baroque era, which now houses the District Office. The Residenz square in front of it is one of the most beautiful spots in Germany. 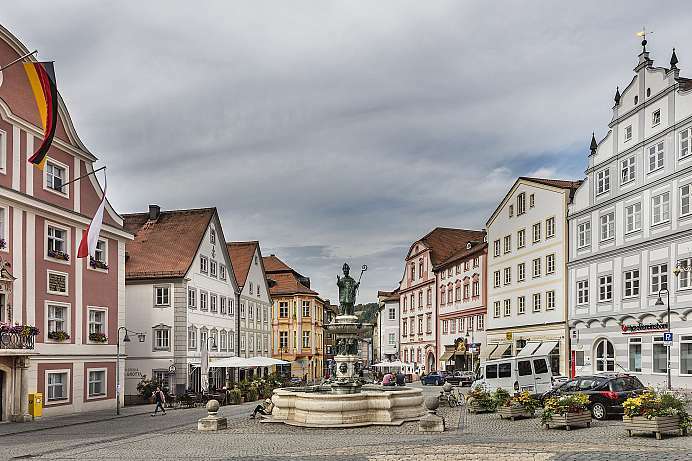 In the early modern era Eichstätt was a center for superstition and witch hunts. Alone from 1617 to 1630, 141 women and 26 men were executed for witchcraft. The Benedictine monastery between Garmisch-Partenkirchen and Oberammergau was founded in 1330 by Emperor Ludwig the Bavarian. The monastery includes farms, several inns, a hotel and a grammar school with adjoining boarding school. Furthermore, an art publishing house, a distillery and a brewery. But the main attraction is the magnificent church. The central building dates to the High Gothic period, but was added to by a large dome in the Baroque period. The town dates back to the Roman route station “Partanum” on the Via Claudia. 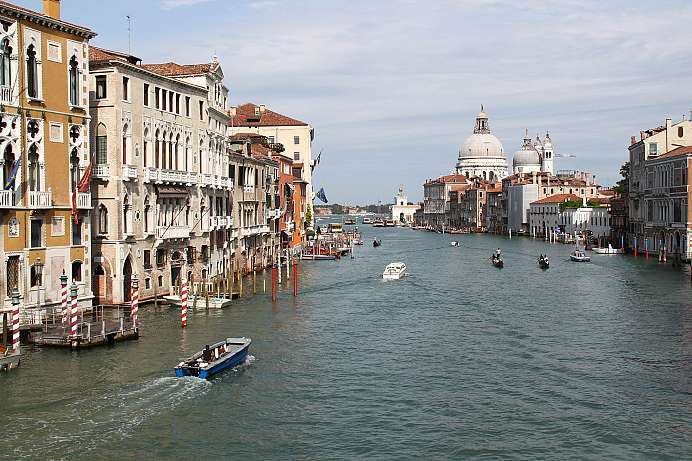 In 1361 it gained in importance when it became the official resting station on the trade route from Augsburg to Italy. 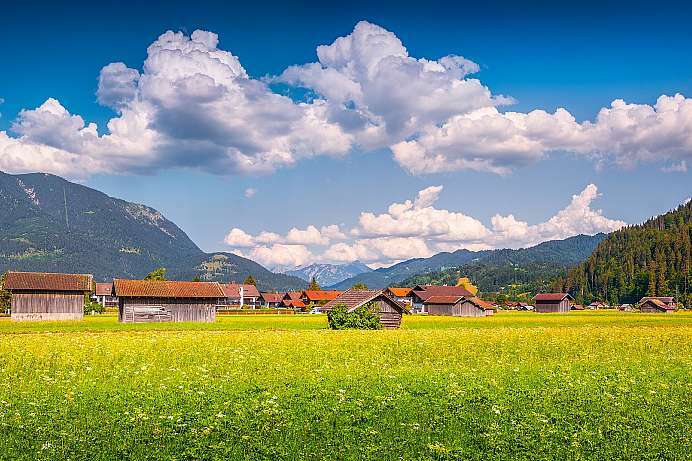 Quaint farmhouses are found especially in Garmisch. Southwest lies the Zugspitze – the highest mountain in Germany at 2,964 meters – and its top can be reached by cable car! 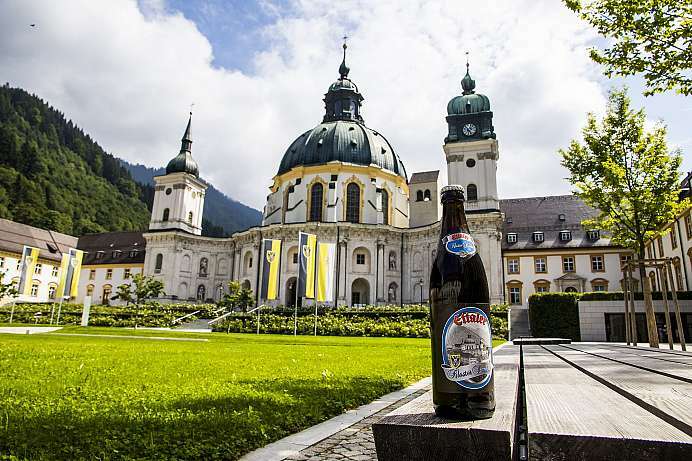 The famous Benedictine Abbey from 1330 is located 15 kilometers north in Ettal. 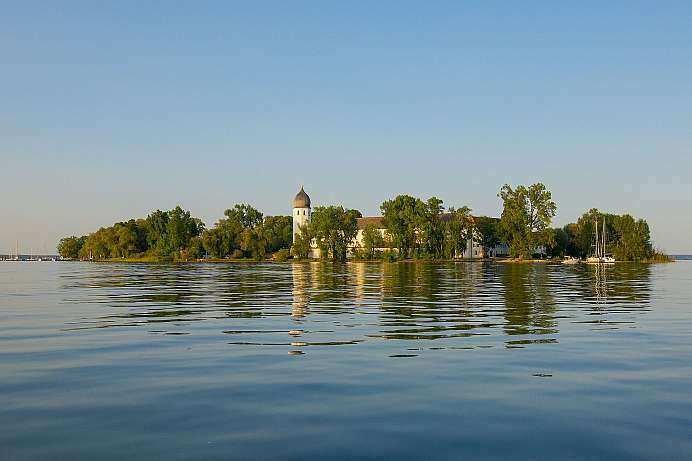 In 1873 the largest of the three islands in the Chiemsee Lake was acquired by King Ludwig II. to build his Herrenchiemsee Palace. However, the reduced copy of the Palace of Versailles remained unfinished. In fine weather the serrated mountains of the magnificent Chiemgau Alps are mirrored in the lake. A passenger ferry runs to the island regularly. There one can visit the castle or stroll through the park. The land on the Isar is also called “Bavaria's Picture Book Land”. In front of the mighty mountain scenery in the south with its deeply cut valleys, a blooming landscape spreads out with blue lakes, characteristic places, splashing streams and gentle hills. The main town of Bad Tölz lies on the Isar river. The spa was formed at an iodine spring. 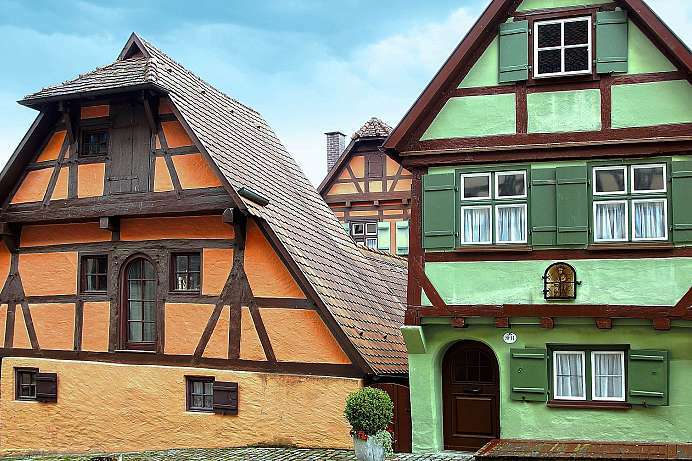 The old town around the curved Marktstraße with its magnificent gabled houses is worth a visit. In the novel “Der Jäger von Fall” (The Hunter of Fall) Ludwig Ganghofer set a literary monument to the inhabitants of the Isarwinkel for their love of their homeland and thus also made the river landscape known trans-regional. 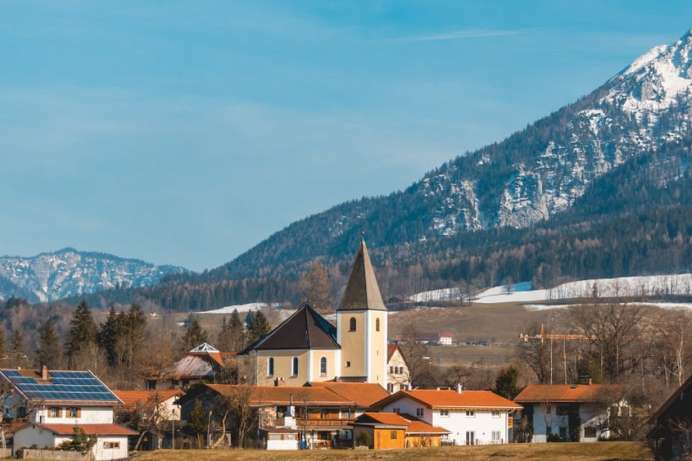 The small town in the valley of the Weißen Traun has been the most popular holiday resort in the Chiemgau Alps for over a hundred years. This is mainly due to the parish church of St. George, which, with the Ruhlpoldinger Madonna from 1230, is considered the most beautiful village church in Upper Bavaria. The local museum exhibits alpine folk art, the woodcutter museum documents the everyday life of the woodcutters in Chiemgau. An alpine nature trail has been set up at the Rauschberg. 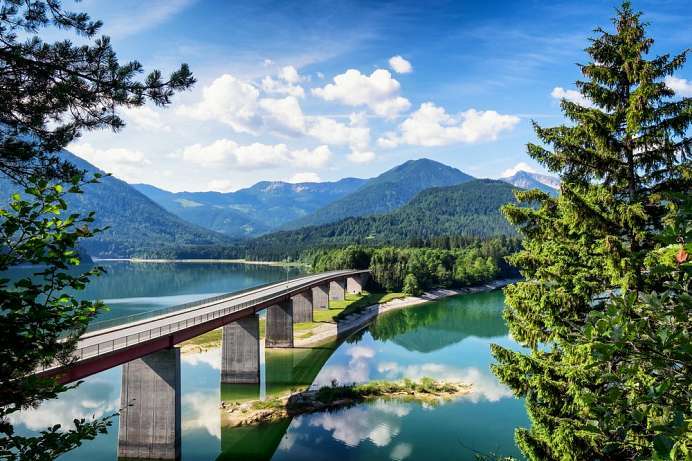 The reservoir lies on the road from the Achensee to Bad Tölz. 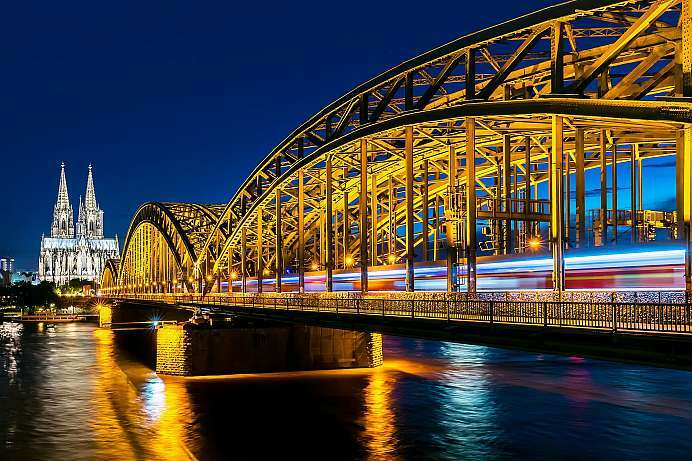 It was built in 1959 to protect against floods in the Isar valley. For ecological reasons, a residual inflow is also guaranteed in dry seasons. Electricity is generated with two hydroelectric power plants. Lake Sylvenstein is also a destination for excursions and a recreational area. Sunk in the lake lies the former village of Fall, which was demolished before the flood and rebuilt a few dozen metres higher on the road to Vorderriß. At low water levels the walls of Alt-Fall are visible again. 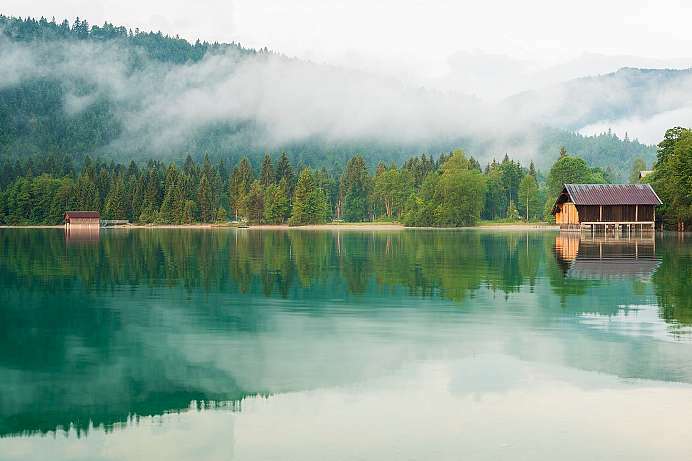 Tegernsee is one of a group of pre-Alpine lakes south of Munich in Bavaria that includes Ammersee, Starnbergersee, Schliersee, Simssee and Chiemsee. 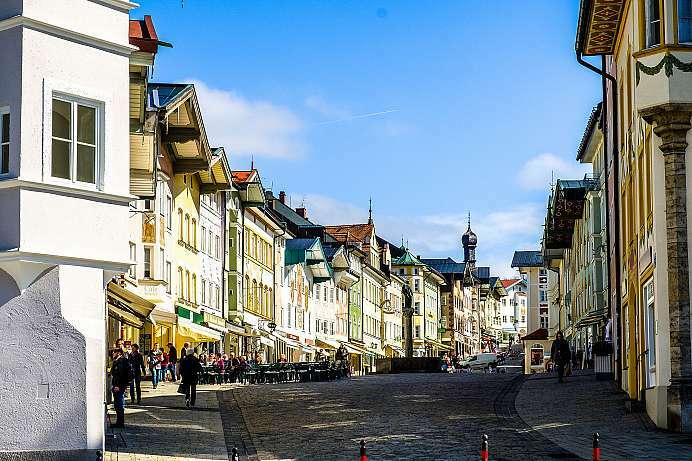 Lying farther south than the others and sheltered by mountains on three sides, Tegernsee enjoys more sunshine than the neighbouring lakes – in fact, more sunshine than any other place in Germany. The lakeshores are, in contrast to many other Bavarian lakes, almost entirely accessible to the public, although partly covered with reeds. In the south there are two larger bays and a small island, the Ringseeinsel. In several surrounding villages one can rent sailing, rowing or electric boats. 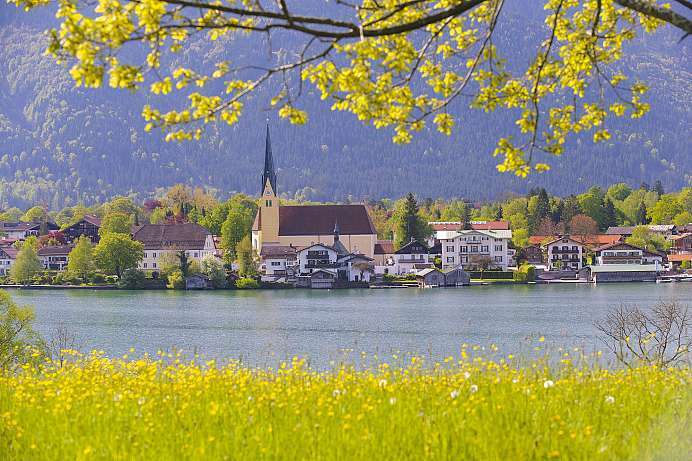 The pleasant climate makes Tegernsee a popular getaway for residents of Munich. Thanks to the sunshine, clean air and remarkably clean water fed by mountain streams, numerous spas have settled in the towns that dot the lakeshore. 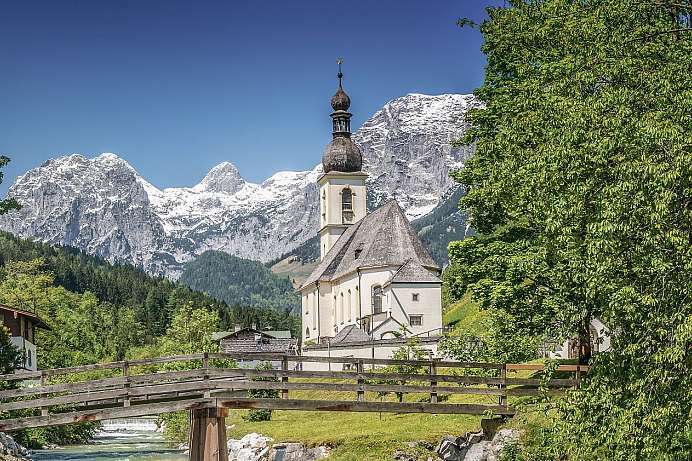 The Austrian border, marked by snow-capped peaks south of the lake, is a mere 20 km away. The Walchensee, with a maximum depth of 190 metres, is one of the deepest alpine lakes in the world. Hence its blue-green colour, which contrasts wonderfully with the white limestone walls of the Karwendel and Wetterstein mountains. 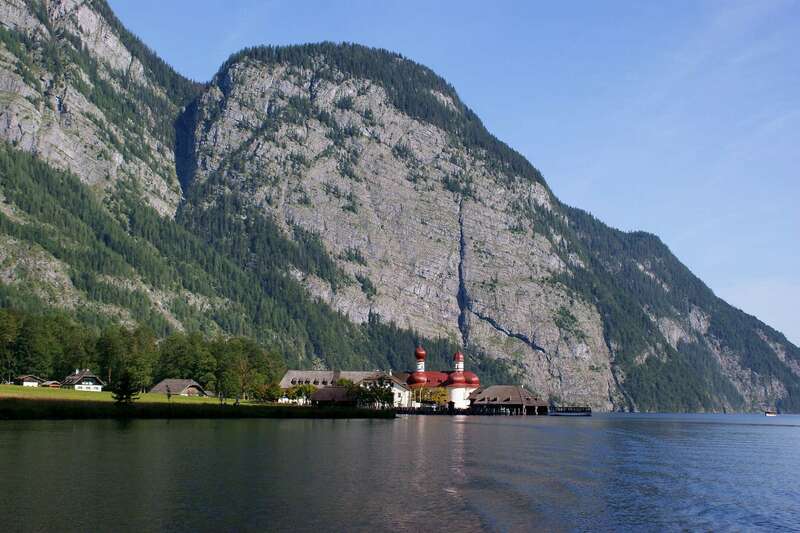 The most beautiful view over the lake is from the Herzogstand (1761 metres), to which a cable car leads up from the lake. Several circular hiking trails start at the top. The 1,838 metre high mountain belongs to the Mangfallgebirge, the eastern part of the Bavarian foothills of the Alps. It is the highest peak of the Wendelstein massif. Because of its exposed location it offers a very good view of the foothills of the Alps and at the same time can be seen from many locations. The Wendelstein cable car and the Wendelstein rack and pinion railway open up the mountain, which consists of light grey Wetterstein limestone. Around 100 metres below the summit stands the Wendelstein Church of 1889, Germany's highest church. There is also a mountain observatory. The mountain top is also easily accessible on foot. From the valley station of the Wendelsteinbahn in Bayrischzell-Osterhofen it takes about three hours to reach the summit. On June 14, 1738, the farmer's wife Maria Lory saw tears in the eyes of a wooden figure depicting the suffering Jesus at the scourge column. This miracle soon attracted thousands of pilgrims. For the"Pilgrimage to the Scourged Saviour on the Meadow" a new church became necessary: the Wieskirche. 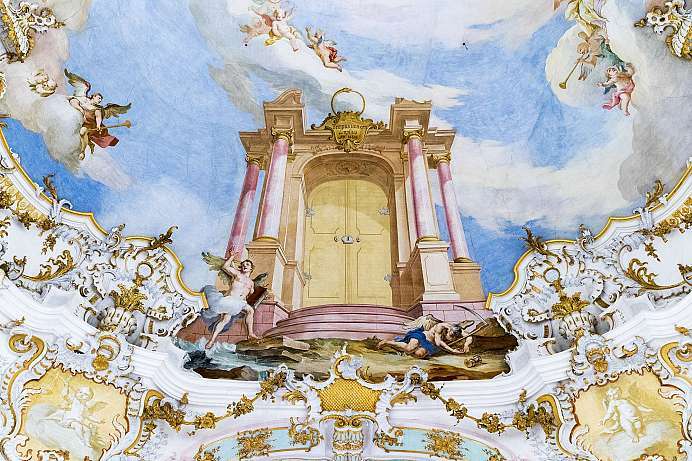 From 1745 to 1754 Dominikus Zimmermann created the oval church, which nowadays is regarded as Rococo of the highest perfection. Today the Wieskirche is a UNESCO World Heritage Site and attracts one million visitors from all over the world every year, especially on the Festival of the Tears of Christ on the Sunday following 14 June. Concerts take place during summer. 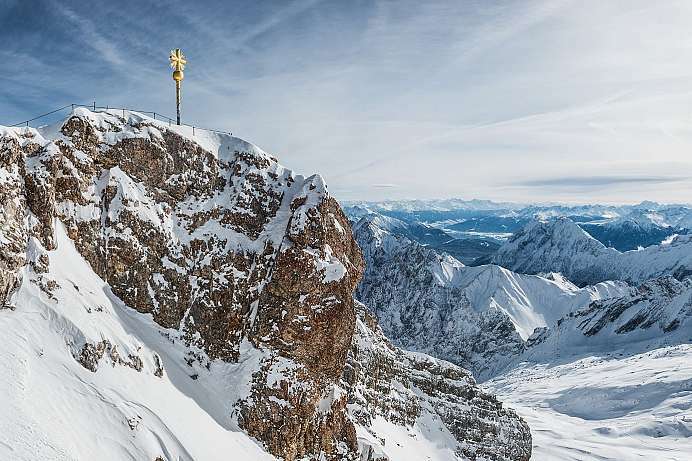 With its 2,962 meters, the highest mountain in Germany is located southwest of Garmisch. The border between Germany and Austria runs across the western summit. Extending southwards from the mountain is the Zugspitzplatt, a plateau with numerous caves. On the side slopes of the Zugspitze are three glaciers, including the two largest in Germany. Located directly on the Zugspitze are the Munich house on the western summit and the Wiener-Neustädter-Hut in the western flank. 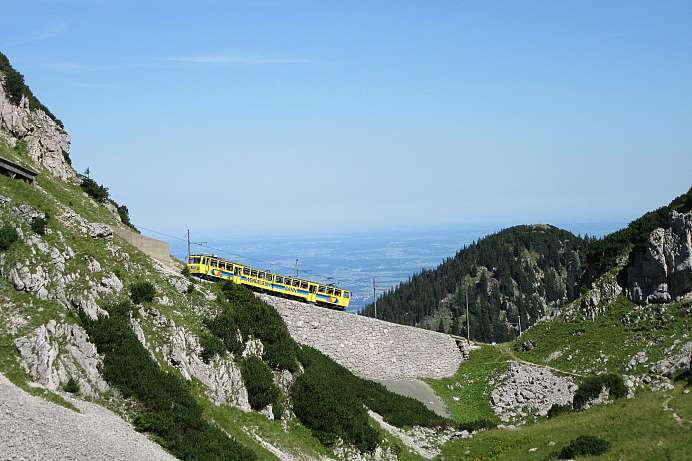 Three cable cars lead to the peak, – the one from Tyrol being a cogwheel railway. In winter it is a skiing area, whereas in summer visitors come to enjoy the breathtaking views.